ISIS announces new deadline for prisoner release. 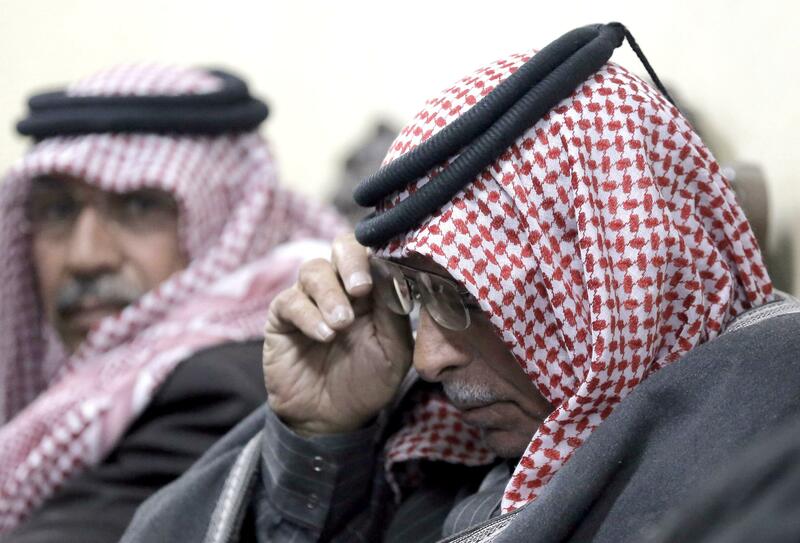 Safi al-Kassasbeh, father of Jordanian pilot Maaz al-Kassasbeh who was captured by ISIS. I’m Kenji Goto Jogo. This is a voice message I’ve been told to send to you. If Sajida al-Rishawi is not ready for exchange for my life at the Turkish border by Thursday sunset, 29th of January, Mosul time, the Jordanian pilot Mu’adh al-Kasasibah will be killed immediately. In response to an ISIS video distributed on Tuesday, Jordan agreed on Wednesday to a prisoner exchange saying it would release the Iraqi woman, who has been sentenced to death in connection to a 2005 bomb attack in Amman that killed 60 people, in exchange for the release of a Jordanian pilot, Lt. Muath al-Kaseasbeh, who’s being held by the group. The new message, however, makes no mention of releasing the Jordanian pilot. ISIS said it has killed its other Japanese hostage Haruna Yukawa. The group had set a ransom for the Japanese captives at $200 million, but, as the BBC notes, videos released on Tuesday and Wednesday did not mention a ransom.